With October traditionally being the month of Halloween and all things spooky, online casino players are already on the lookout for new slot games that match the season’s mood. 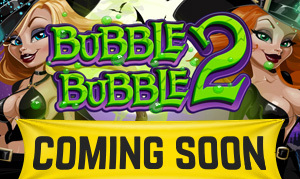 For a long time, Realtime Gaming’s Bubble Bubble slot was considered the ultimate October slot to play at online casinos such as Springbok Casino. Now the South African facing site has thrilled players with the news that a long-awaited sequel to Bubble Bubble slot will be launched this month. Bubble Bubble 2 slot will debut exclusively at Springbok Casino so that South African players will be able to enjoy this new title by Realtime Gaming first! Winni the Witch and her cheeky sister Wanda are back on the reels of the new Bubble Bubble 2 slot and they are really cooking up a magical storm this time. “Can you channel the spirits and bring about some big wins?” players are asked. 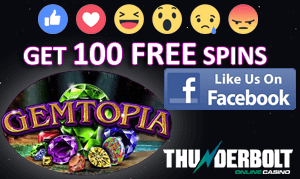 Greater Ghosts Feature – Earn up to 20 free games with Wild Ghosts flying onto the game’s reels after every spin. Wilder Witches Feature – Awards players with nine free games. Winni and Wanda the witches cast spells on the game’s reels whenever they appear. Ultra Bewitched Feature – Players earn seven free games, as well as up to two expanded wilds on every game. More rewards follow if both witches appear on the same spin. When this happens, they turn the middle reel wild or reward players with 33 extra free games. In some cases, both prizes are awarded. Look out for Bubble Bubble 2 slot at Springbok Casino from October 11th.